I don’t like to use patterns, I find infinitely more success with drafting (more than drafting, and drafting more successful than using an existing pattern.) It has everything to do with modern pattern blocks. In general bodies vary each generation but there is a fashionable shape as well as a fashionable size. My shape goes against modern fit models in a way that does not conform to the methods of correcting a pattern. 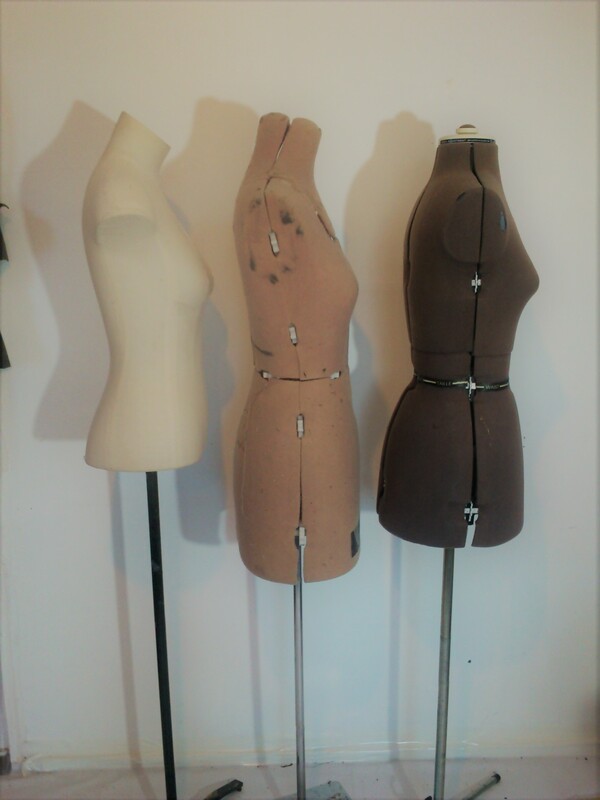 (photos above- three mannequin torsos on narrow stands stood side by side to illustrate differences in shape despite being set to the same size. 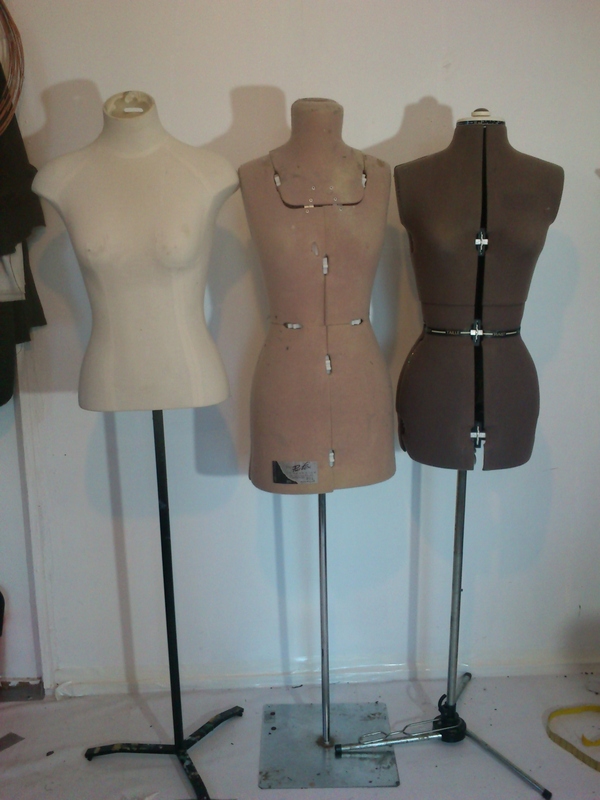 The mannequin on the left of each photo is covered in white cloth and is not adjustable, the mannequin in the centre is adjustable but is narrower across the chest/waist/hips, but wider in profile, the mannequin to the right is much rounder in all directions and has a much rounder upper back with the armscyes set further forward. Once again these three mannequins show the different fashion shapes. 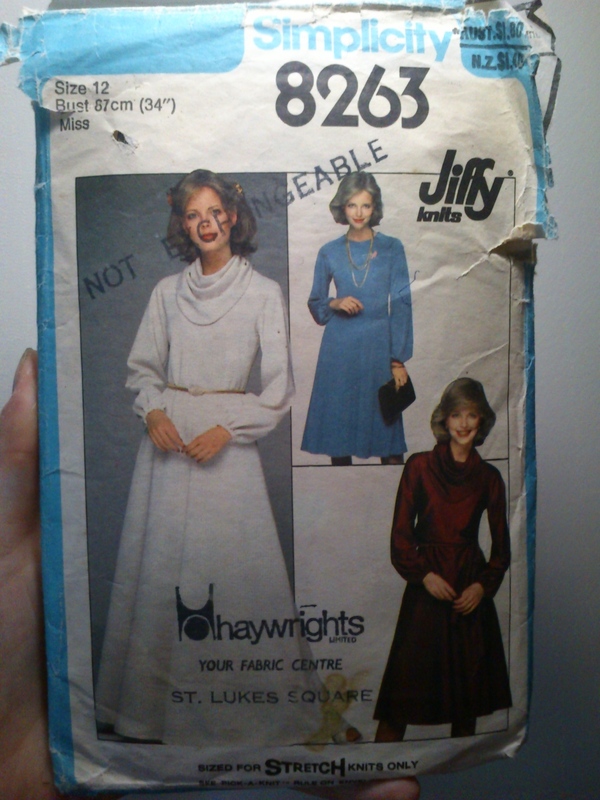 Why is this important for Mon Mothma? Isn’t it just a robe? The dress is unfortunately four panels but has the raglan sleeve to a closed neck 🙂 And bishop sleeves. I transferred all patterns to brown paper. I traces each pattern a short distance from the edge of the paper to allow the paper to be folded straight whereas in the original pattern the dress panels all tapered in to the waist and out to the hem. 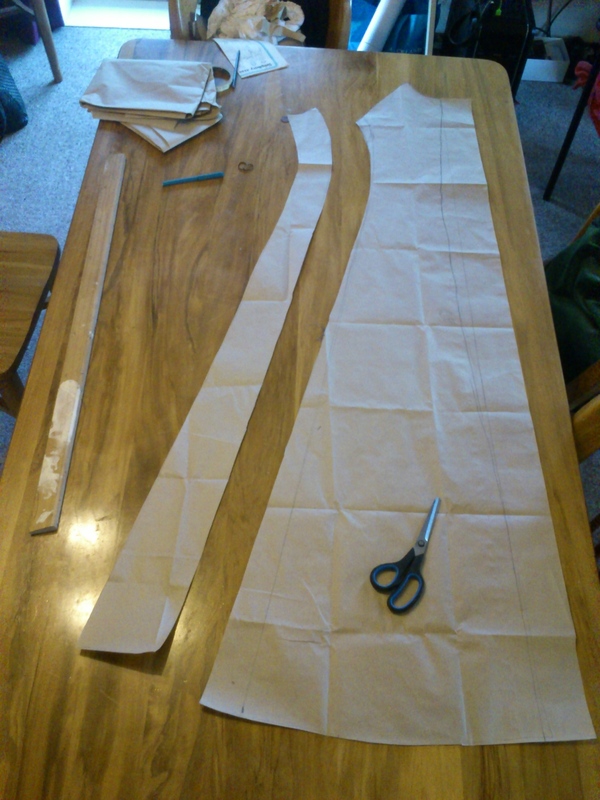 For the front dress panel I first drew and then cut a semi princess shape from the front. This left a much narrower side front than I wanted, but the front needed no more work. I then used double sided tape to stick the outer side of the new side piece to a length of narrow brown paper. 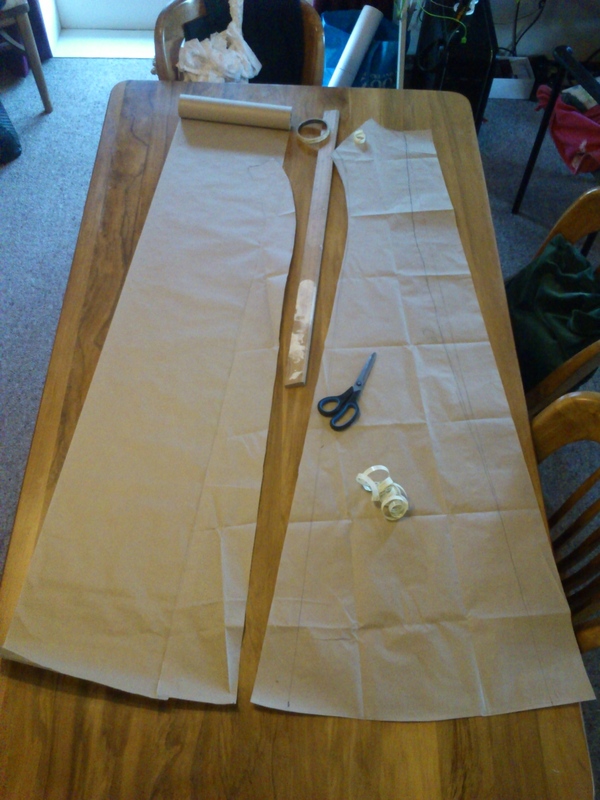 I then flared that side seam out about 20cm at the hem and tapered it to the waist. I repeated on the inside of the side panel. 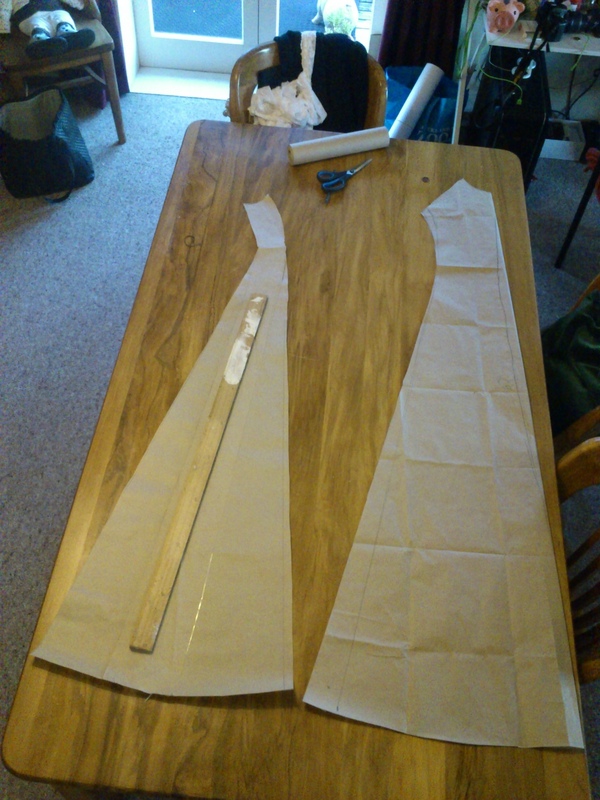 Now the patter for the dress front has a side seam and a much fuller hem. I repeated this for the back panels and the sleeves. 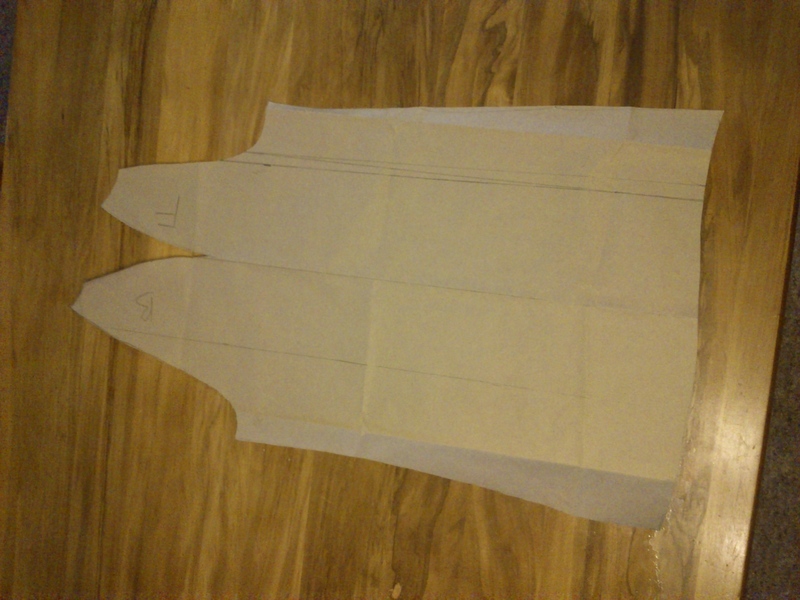 Since then I have cut the shell fabric and a stabilising lining. The lining is a loosely woven fabric to allow airflow when worn. I overestimated my seam allowances. The next step will be to assemble this on the form that is going to most easily allow for a semi loose fit but also allow for shoulder shaping. 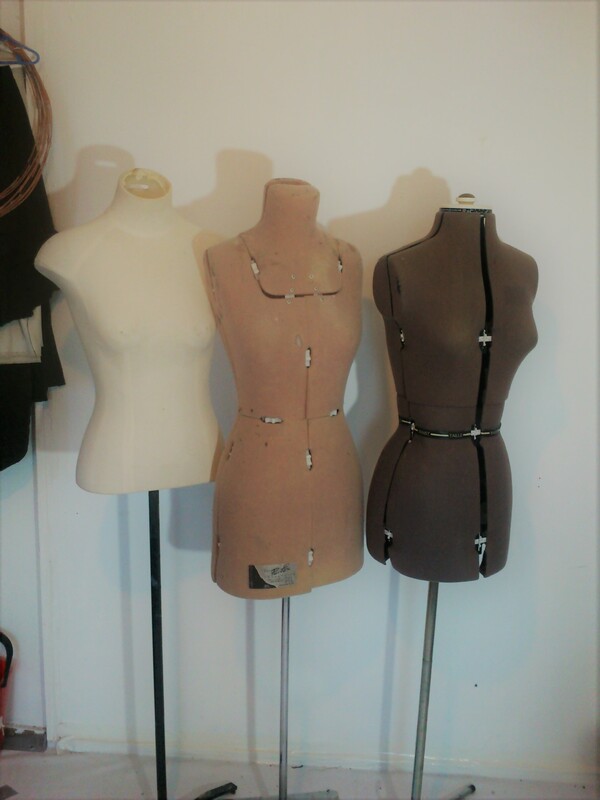 So I shall use the non adjustable mannequin as it has curved upper shoulders at least. Previous Previous post: Shaak Ti?